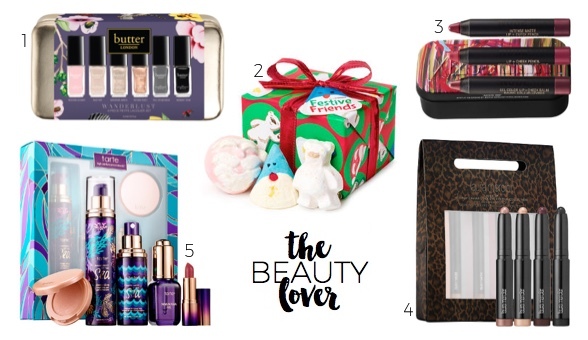 It's that time of year again, and I'm thrilled about today's gift guide! 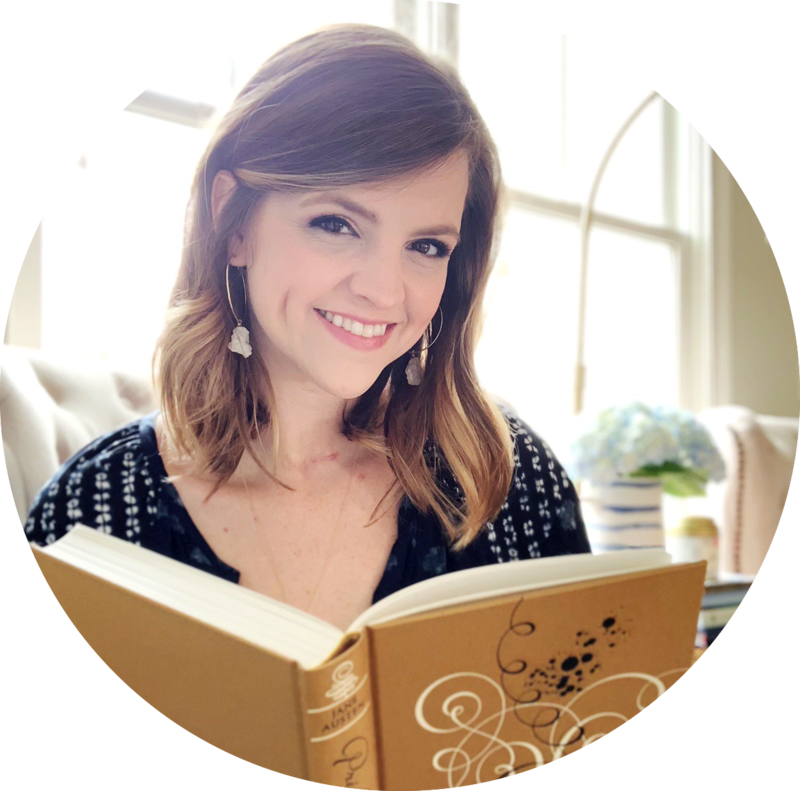 Last year, Cassie from The Casserole shared our first Holiday Gift Guide and had so much fun compiling suggested gifts based on the things we love most. For me, that's beauty, decor, books, entertainment and fashion. I know my gift guide won't encompass everyone on your list, but hopefully it can help you cross a few people off! 1. For the Nails (Butter London Wanderlust Nail Lacquer Set - $29): I'm a sucker for Butter London's nail polishes, so it was a given that I'd suggest one of their gift sets. Although this isn't part of their holiday collection, it caught my eye because it's got such great neutral colors + a nice little bag to go along with it. 2. For the Bath (Lush Festive Friends Wrapped Gift Set - $23): I adore taking a bath, and I think bath products make lovely gifts. It's a nice little luxury that gives someone the excuse to rest and relax. My favorite bath products come from LUSH - you can choose products yourself or grab one of their prepackaged sets! 3. For the Eyes (Laura Mercier Layer Up Caviar Stick Eye Colour Collection - $38): My mom recently gave me one of these eyeshadow sticks from Laura Mercier, and I'm in love! Sometimes I'll use them like a primer, but they're wonderful on their own, too. But there are many eyeshadow options available in every price range! 4. For the Lips (NUDESTIX #BerryNudeLips Mini Set - $24): One of my favorite things about the holidays is the number of makeup gift sets that are released. Whether it's full-size products or a sampling of mini products, it's the perfect time to try something new. For example, I've got my eye on these berry lip pencils. 5. For the Skin (Tarte Radiance Ritual Travel Set - $32): Skin products are one of the most challenging things to buy for someone else, at least in my opinion, because you've got to take into account their skin type (oily, dry, acne-prone, sensitive, etc.). But I like that this set has a sample of both skin and makeup products. 2. For a Bit of Green (Sedum Terrarium Bottle - $38): I love giving someone a plant or flower! I'll typically search for a gorgeous orchid, but I also really like the idea of gifting a terrarium. This one is a little kit so the recipient can put it together themselves. Succulents would be perfect, too, since they're practically impossible to kill! 3. For the Living Room (Nordstrom at Home Herringbone Border Throw - $39): Throw blankets are a nice gift because they can be practical and beautiful! A soft and fluffy one is perfect for cozying up with on a cold winter's night, but you can also choose one that would look lovely draped over the back of a chair or couch. 4. For the Coffee Table (Living with Pattern by Rebecca Atwood - $22): Who doesn't love a big coffee table book? I spotted this new release at TJ Maxx one day for a great price, and I had to bring it home with me. It's perfect for gifting - the inside is lovely and the cover is gorgeous! It would look perfect on display. 5. For the Wall (Roe Deer Antler Rustic Plaque Set - $100): My mom is my go to for any and all decorating advice, and she thought these would great for a home decor lover. These antlers are a win-win because they're fake (but look real! ), affordable and would be perfect hung on the wall in a grouping with some plates. 1. 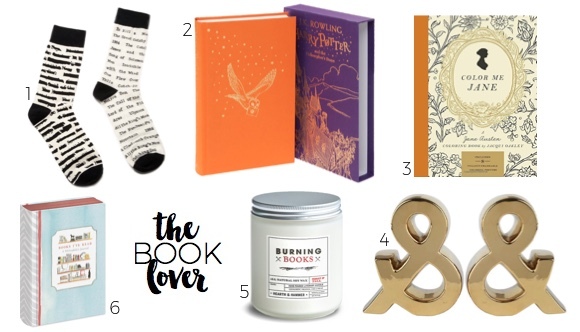 For Displaying Nerdiness (Out of Print Banned Books Socks - $10): It's probably a given, but there are so many great apparel options for book lovers. You've got t-shirts, of course, but don't forget about socks! I'm partial to these socks with the titles of banned books on them, which a friend gifted me not too long ago. 3. For the Coloring Craze (Color Me Jane: A Jane Austen Adult Coloring Book - $10): Has the adult coloring book craze reached maximum exposure? Probably. I feel like everywhere I turn, there's a book-themed coloring book popping up! I've generally avoided the trend, but I can't resist anything related to Jane Austen. 4. For Styling Books (Gold Ampersand Bookends - $53): Who doesn't love getting bookends? I was excited when I spotted these gold ampersand ones while browsing online one day! I love decorating with books because they make a home feel so personal, and there are so many bookend options available. 5. For Getting Cozy (Burning Books Literary Candle - $18): I feel like book-themed candles have grown in popularity over the last year or so. At least, that's what it seems like to me! On Etsy, you can find fun literary candles, including ones for practically every fandom. I'm intrigued by this "Burning Books" scent. 6. For Remembering Recent Reads (Books I've Read: A Bibliophile's Journal - $13): I've always loved the idea of a book journal, but I've never found one that I really liked. 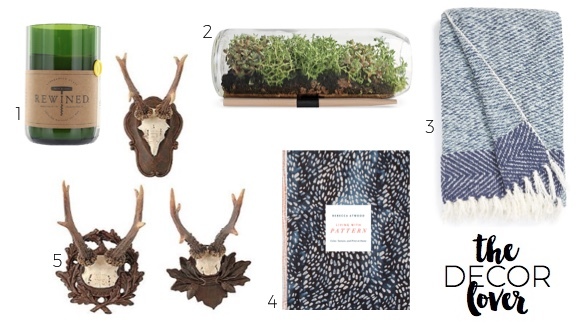 In researching this gift guide, I actually found two that seemed perfect! 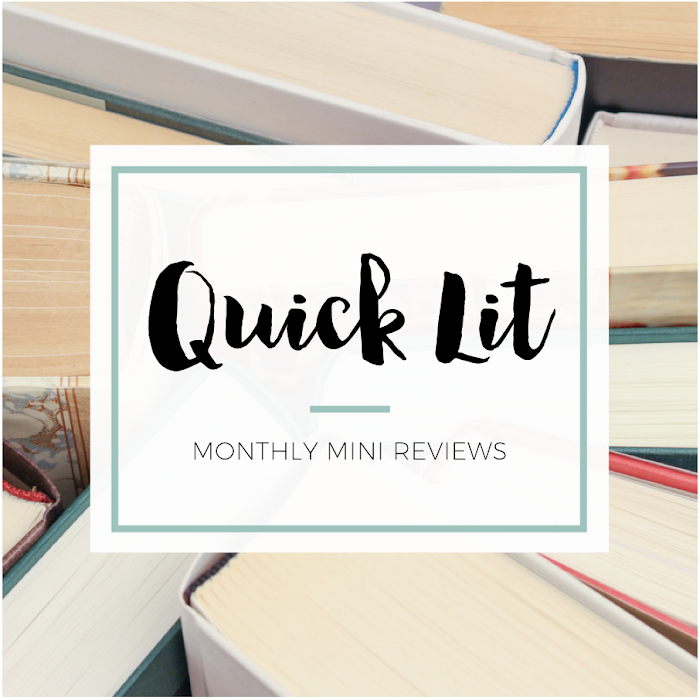 This one has adorable illustrations and lines for simply listing recent reads. 1. For Weekly Updates (Entertainment Weekly Subscription - $25/year): I've subscribed to Entertainment Weekly magazine for years and look forward to getting my copy in the mail every week. I love the behind-the-scenes info about my favorite movies, television shows and more. I've discovered many new obsessions, too! 2. For Reliving the Magic (The Case of Beasts: Explore the Film Wizardry of Fantastic Beasts and Where to Find Them by Mark Salisbury - $28): I was completely shocked by how much I loved the Fantastic Beasts and Where to Find Them movie, and I had to purchase this gorgeous book about the making of the film as soon as I saw it in person. I'll have to read through this during the long wait for the second movie! 3. For Collecting (Breakfast at Tiffany's Holly Funko Pop - $11): Once again, it's always fun to add to someone's collection. 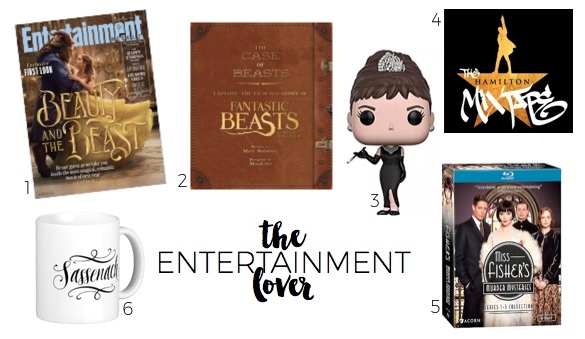 Funko Pops are quite popular - and you can find them for so many fandoms! For example, this Breakfast at Tiffany's one would be a fun little gift for an Audrey Hepburn lover. 4. For Experiencing the Hype (The Hamilton Mixtape - $15): If you spend any time at all on the Internet, you've heard about Hamilton. It's everywhere these days. I should probably listen to it so I can understand what all the fuss is about... Ha! But you can gift the recent Hamilton Mixtape to someone who's already obsessed. 5. For Bingeing (Miss Fisher's Murder Mysteries: Series 1-3 Collection - $63): I started watching Miss Fisher's Murder Mysteries on Netflix, and I still haven't finished it yet because I just want to make it last! This show is such a delight - amazing costumes, great setting, intriguing mysteries and characters you'll be rooting for. 6. For Displaying Obsessions (Outlander Sassenach Coffee Mug - $16): And finally, you can't go wrong with a coffee mug! Well, unless they don't drink coffee or tea... but, then again, I use coffee mugs for ice cream so my initial statement still stands. I love getting nerdy mugs, like this Outlander one. 1. For the Wrist (Cluse La Boheme Leather Strap Watch - $99): I enjoy wearing a watch, even though I rarely use it to look at the time. My husband always teases me for wearing a watch with a dead battery! But I just love how they look on my wrist, especially with a stack of bracelets. This rose gold one is a neutral with a pop. 2. For for the Eyes (DIFF Dime II 48mm Retro Sunglasses - $75): These sunglasses came to my attention through an Instagram ad, and I've been curious about them ever since. I like that they're cheaper than a lot of designer sunglasses. Even better? They donate a pair of reading glasses for every pair of sunglasses sold. 3. For the Ears (Kate Spade Rise and Shine Stud Earrings - $38): Who can resist some bling? I think these earrings have the perfect amount of sparkle without being too flashy! They come in a variety of colors, too, if you want something a little more funky. And if earrings aren't their style, consider a necklace or fun ring! 4. For the Stuff (Street Level Reversible Faux Leather Tote - $48): While I love designer handbags, I'm always excited when I find a more affordable purse to obsess over. This tote comes in a number of different colors, is the perfect size and has so many great reviews! It even comes with a little wristlet, too. 6. For the Feet (Converse Chuck Taylor All Star Low Top Sneaker - $52): Shoes can be difficult, but it's a great gift if you know someone's size and style preferences. 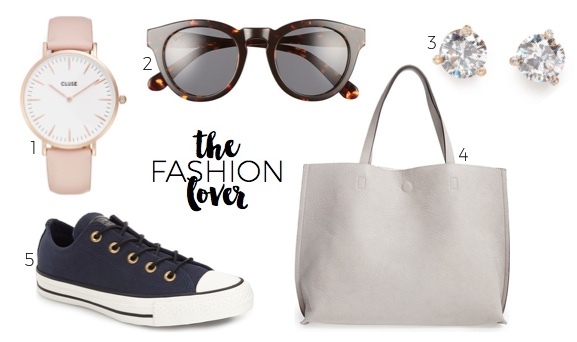 I was going to put a pair of flats or boots on my list, but my husband thinks everyone should own a pair of Chuck Taylors. I love this slight twist on the classic style! And what's your favorite thing to gift? I love your gift guides, Hannah! You always find the best stuff <3 Also, there are quite a few things on here I would add to my own wishlist... including that watch, which is the best color!